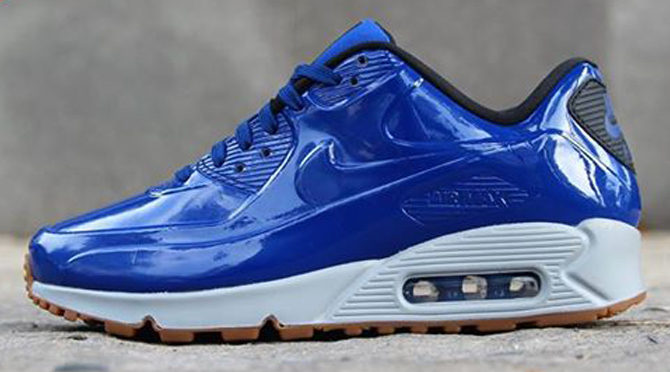 Remember that Nike Air Max 90 VT style that recently showed up promising the return of the glossy look? Another preview has hit proving that there's more to come from the specific iteration of the classic Tinker Hatfield runner. 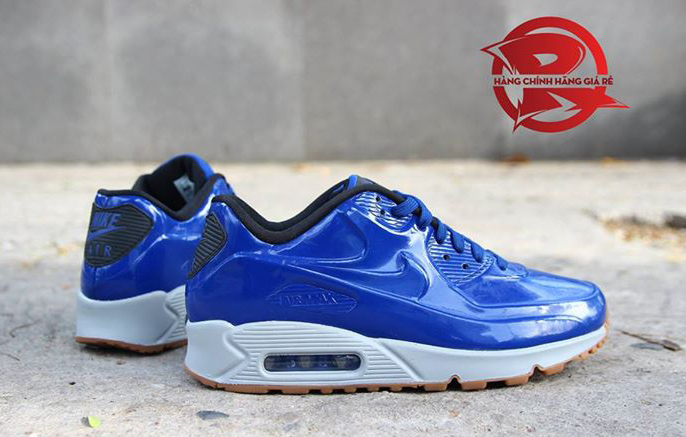 The approach is very much the same here, with white walls on the midsoles, gum bottoms and a singular color for the vacuum-sealed upper – a deep blue this time around. Sole Collector will update with sneaker release date info on this VT retro when it's available.